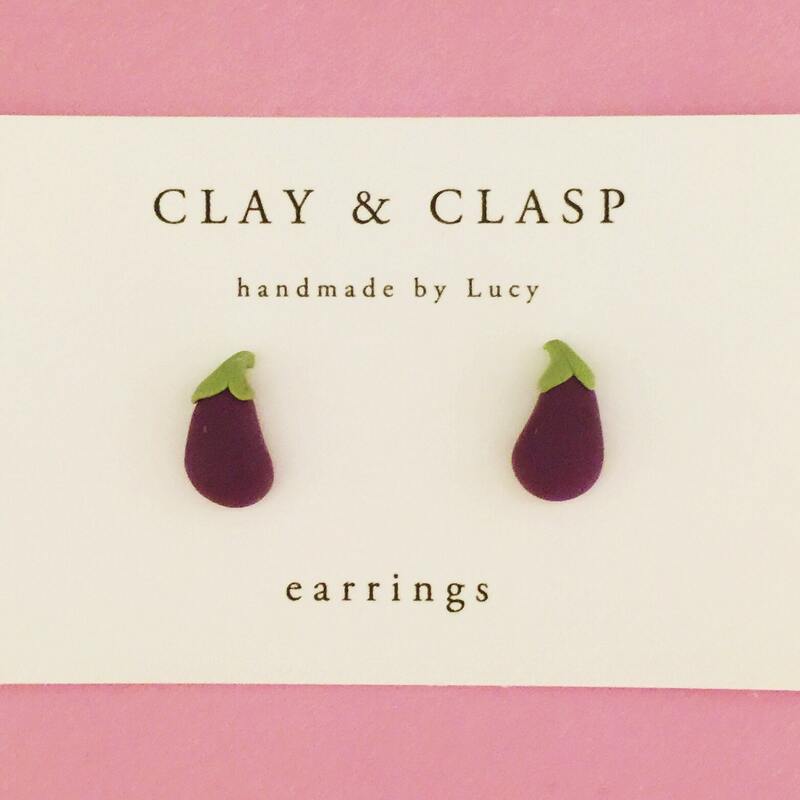 Polymer Clay Aubergine Eggplant earrings handmade by me! Earring backs are hypoallergenic titanium with surgical stainless steel backs. I am allergic to everything under the sun and find that titanium works best for me!